In search of a late-night drink at a venerable St. Louis hotel, longtime Cardinals broadcaster Harry Caray nearly was killed when struck by a car. 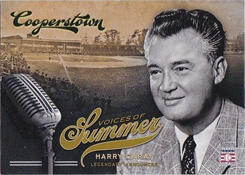 On Saturday afternoon, Nov. 2, 1968, less than a month after he had called the World Series between the Cardinals and Tigers, Caray did the broadcast of the Oklahoma State vs. Missouri football game at Columbia, Mo. Afterward, he drove to St. Louis and, on a whim, decided to stop by and watch the NHL game between the Blues and North Stars. During the hockey game, Caray, who was estranged from his second wife at the time, called a friend and arranged to meet for dinner. After dinner, unwilling to call it a night, Caray headed to the Chase Park Plaza Hotel, a landmark in St. Louis since the 1920s and a venue for music and shows. It was about 1:15 a.m., Sunday morning, Nov. 3, 1968, when Caray drove up to the hotel in the rain. A regular at the Chase Park Plaza, Caray, 51, usually left his car with a parking attendant at the entrance, but, because of the rain, there was a backup of vehicles in the hotel driveway. Impatient, Caray noticed an empty parking spot along the curb on the other side of the street, directly across from the hotel. He parked, exited the car and started to cross the busy street, Kingshighway. Poliquin, who hours earlier had been engaged to be married, told police he saw a pedestrian step into the street in midblock and wasn’t able to stop on the rain-slickened pavement, the Associated Press reported. Poliquin said Caray saw the car at the last moment and jumped in the direction the vehicle was skidding. In his book “Holy Cow!,” Caray said, “I was lying in the street … in the pouring rain. People started to gather around. Many recognized me; all were afraid to touch me. Taken to a hospital, Caray was treated for compound fractures of both legs, a broken right shoulder, a broken nose and facial cuts, the Associated Press reported. “I had almost died on the street when the rainwater and blood nearly congested my lungs … I was extremely fortunate they didn’t have to amputate my left leg during surgery,” Caray said. Police cited the driver of the car for failure to display a driver’s license and Caray was cited for crossing a street while not at an intersection, the Associated Press reported. Initially, the only visitors permitted in Caray’s hospital room were family members and Robert Hyland, general manager of Cardinals flagship radio station KMOX, according to United Press International. The doctors informed Caray he would need to remain in the hospital until just before Christmas. Caray convinced hospital staff his recovery would progress if he could have lots of visitors. Upon Caray’s release, Cardinals owner Gussie Busch offered the broadcaster the use of Busch’s beach house near St. Petersburg, Fla. Caray recuperated there _ under the care of a male nurse, he said _ and was back in the Cardinals’ broadcast booth for the start of the 1969 season. Great story, but there are a lot of gaps. The “friend” was Auggie Busch’s wife and the reliable source is the man that was driving the car…my father. Nothing against Harry, but now it should be clear as to why he was fired. Patricia: Thank you for the insights!